Senators passed a bill April 24 that makes updates to security law. 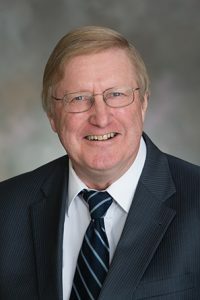 LB148, sponsored by Columbus Sen. Paul Schumacher, is based on recommendations from an interim study in 2016 and makes numerous changes to the Nebraska Securities Act. Current law excludes from the securities act individuals with no place of business in the state who effect transactions exclusively with other broker-dealers, specified types of financial institutions and other institutional buyers. LB148 adds credit unions to the list of entities to which sales can be made without triggering registration requirements. • authorizes the department to deny, suspend or revoke the registration of a broker-dealer, issuer-dealer, agent, investment adviser or investment adviser representative if the director finds that such person meets any one of 12 listed criteria. The bill also included provisions of Schumacher’s LB187 that increase from $250,000 to $750,000 the cap on proceeds from all sales of securities by an issuer under a registration exemption for small offerings. The capped amount could be increased in the future and a security issued through an exempted transaction will not be considered a security for purposes of determining professional malpractice insurance premiums.